Mangaluru, Jan 14, 2017: The 13-kilometer stretch of the Shiradi Ghat is a non-starter as of now despite issuing several deadlines, the NHA National Highways Authority of India has reportedly decided to stall the repairs for this year as the monsoon would begin soon. GVR Infra Projects Ltd was given the contract of completing work on the stretch, but work failed to materialize despite issuing deadlines. Sources say that the decision to stop the work for this year was taken at a meeting held in the state capital, Bangalore. The work on the stretch was supposed to begin in November 2015. However, despite instructions from higher officials to begin work, the contractor showed no signs of beginning repairs. Authorities then said work would begin on December 1, 2016, yet nothing happened. The date was further postponed and later January 1, 2017, still the work was not taken up. At present reports state that authorities have decided to recommend blacklisting GVR as it was unable to complete the work assigned. 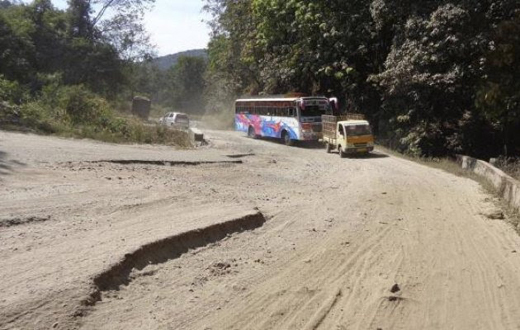 Though the road is not in a bad condition they are postponing the date for repairing the road.